Engagement with your loved one is one of the most auspicious ceremonies of your life. And the most important thing for the occasion is the engagement ring. Along with your spouse, all invited guests look forward to the kind of engagement ring that you have chosen for your beloved one. Along with simple engagement rings for the occasion, many people look for eternity rings as well. The difference between an engagement ring and an eternity ring is in the setting of the diamonds and the precious stones. In eternity rings, the diamonds and stones are set all along the circumference of the ring without any gap. Since there is no beginning and no end to the stone settings, they are popularly known as eternity rings. This is symbolic of the unending love between the couple. On the other hand, engagement rings can have a single diamond or other precious stone right in the center. Even if there are more stones and diamonds, they are usually on the upper surface of the ring only. Gone are the days when you would need to hop from one jewelry store to another to get the perfect ring for your engagement. Now online jewelry stores have made jewelry shopping extremely easy with the product being delivered at your doorstep. AG & Sons has developed as a leading online jewelry store dealing with various kinds of jewelries including engagement rings, necklaces, bracelets, earrings, eternity rings, bridal sets and so on. The store specializes in diamond jewelry in all categories. Browsing through www.agnsons.com will help customers know about the different categories in which jewelries are sold by the company. The categorization is done in an extremely systematic manner which makes the site easily navigable. For instance if a customer is looking for ‘diamond engagement rings’, he can click on the mentioned tab and will be able to see a range of engagement rings available at the store. 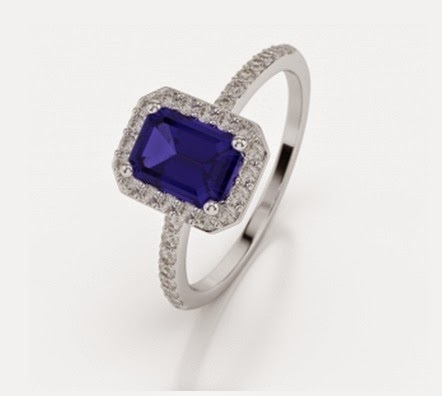 Some of the most popular categories include ‘emerald engagement rings’, ‘diamond engagement rings’, ‘tanzanite engagement rings’, ‘black diamond engagement rings’ and many more varieties. Among the sub-categories too there are immense varieties to check out. Base metals like gold, platinum, rose-gold, white-gold etc. are different from one ring to another and so are their designs and shapes. The prices of the rings also depend on the base metal as well as on the use of diamonds and precious stones in the piece of jewelry. The same concept is applicable for purchasing eternity rings as well. 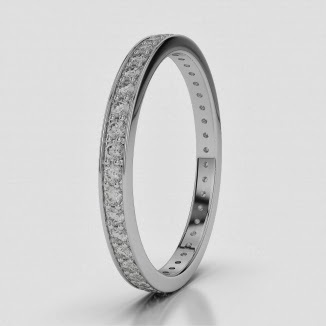 It is quite interesting to see that the store has some excellent collections of half eternity rings as well in different base metals, diamonds and other varieties of stones. The best thing is that the price range of the products at AG & Sons is varied. Therefore it is suitable for all kinds of buyers. Constant efforts are being made by AG & Sons to improve the user experience to attract more and more number of customers to the site. The site has been redesigned to enhance navigability for visitors of the site. Since the entire process of jewelry purchasing is online, it becomes very important that the system work well always and remains upgraded. After shopping for jewelry with AG & Sons, you will definitely not need to go to any other destination for your online jewelry hunting.